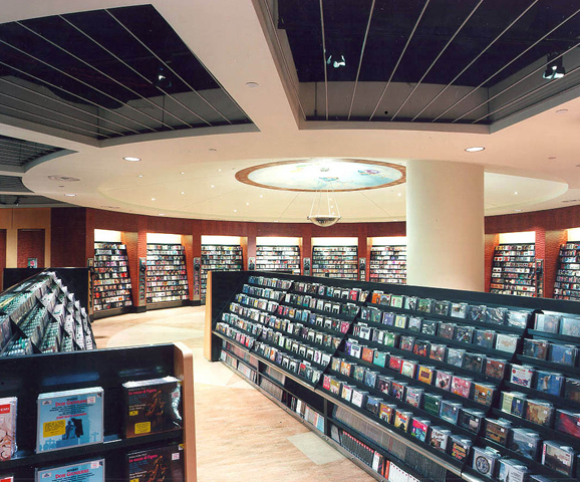 The objective of this project was to create the largest and most impressive music/media retail environment in the world. 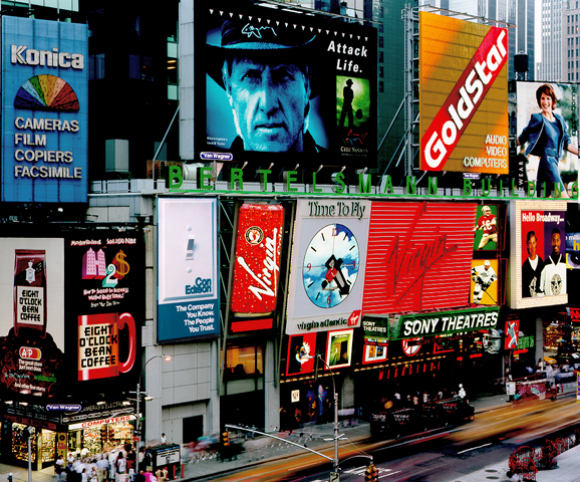 This was accomplished by bringing the energy, essence and aesthetic identity of Times Square into the store through the use of high quality materials and innovative detailing. 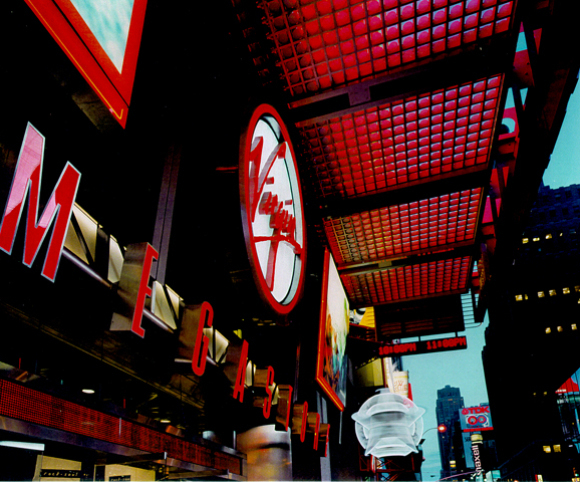 The Virgin Megastore is one of the first projects in New York City that successfully exploits retail space below ground level by creating two, 2-story spaces. 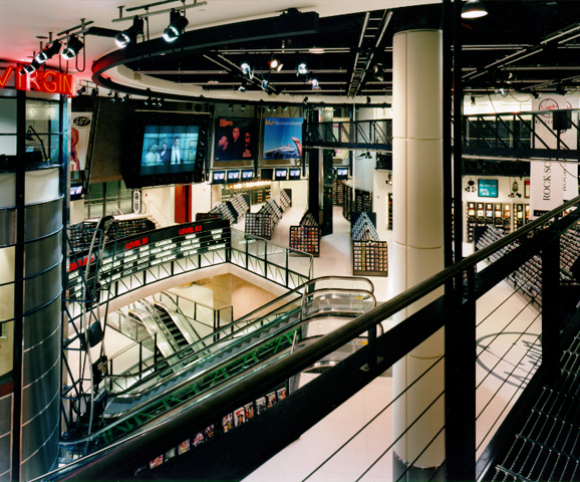 The first and second floors, tied to Times Square, and the basement spaces are bridged together by escalators and the vertical tower crowned by the DJ booth. 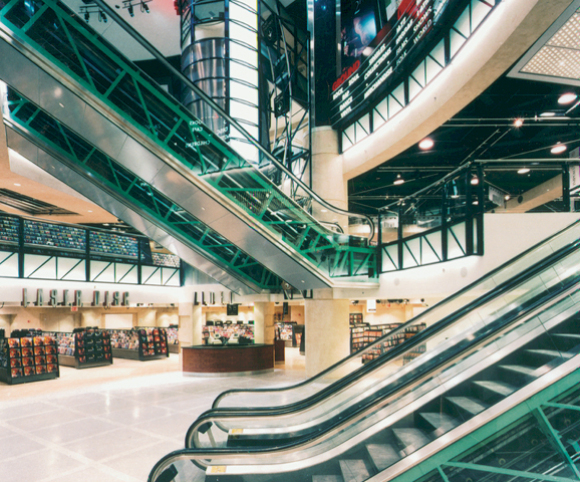 The design was awarded first place in the 1996 Retail Store of the Year Design Competition sponsored by Chain Store Age magazine. David Kriegel with BNK Architects.